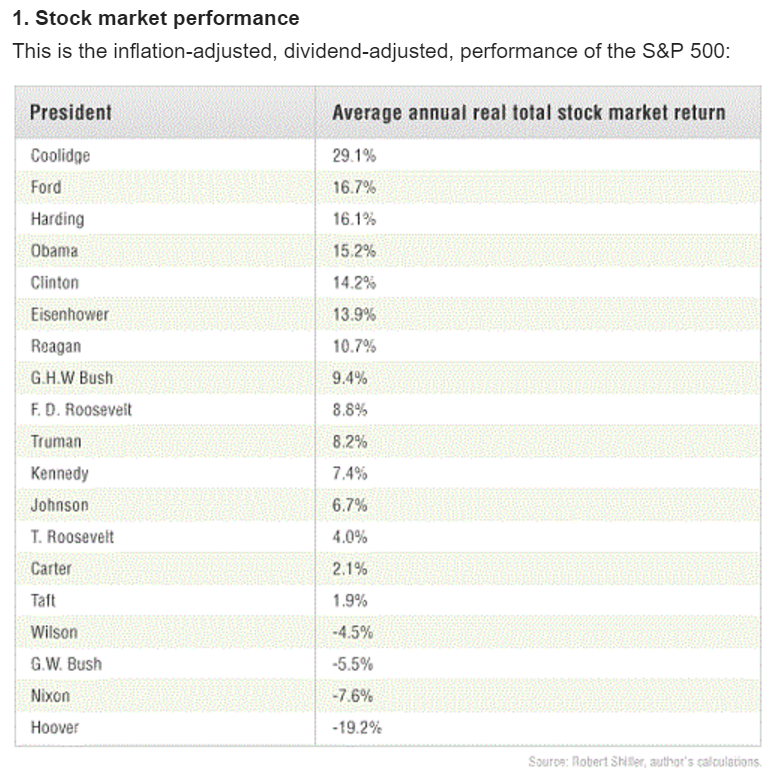 There’s a tendency among the masses to judge our presidents on the state of the economy during their terms. However, says a recent article by Morgan Housel of The Motley Fool, jumping to conclusions based on four or eight years of an administration (both of which, he argues, are “blips”) may not be well-founded. “No matter who lives in the White House,” Housel writes, “business cycles come and go, the Federal Reserve flexes with unmatched power, and the 78% of the global economy that is not the United States pushes and pulls everything around.” He offers historical data regarding economic indicators (including S&P performance and GDP growth) corresponding with various presidencies and argues that “everyone should know history”. People are good at conflating what they think should have happened with what actually happened.